Funeral services for Harold D. Kirkendall, 74, of Silsbee will be 10:00 am Friday, November 10, 2017 at Caney Head Assembly of God Church with interment following in Cunningham Cemetery. Visitation will be 5:00 pm to 8:00 pm Thursday at the church. Mr. Kirkendall passed away November 7, 2017 at his residence. Harold was born July 16, 1943 in Silsbee to Cisro and Lillie Haynes Kirkendall. 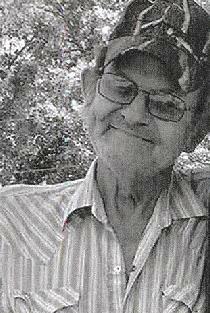 He was a long-time resident of Silsbee and worked many years in the construction industry. Left behind to cherish his memories are his wife Emma Luckey Kirkendall of Silsbee; daughters Amy Kirkendall and boyfriend Shorty Landry, and Lillie Kirkendall all of Silsbee; brothers B. L. Kirkendall of Silsbee; sisters Patsy Ard and Louise Watts of Silsbee; and grandchildren Damien Landry, Chelsea Mouton, and Chad Mouton. Harold will be deeply missed by all who knew and loved him. There are currently 2 condolences.